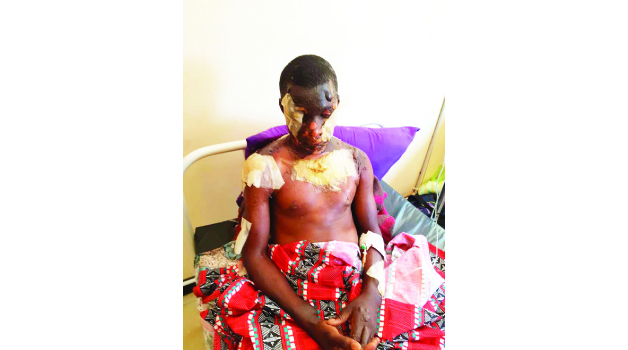 • KENNEDY Chansa nursing burns at the University Teaching Hospital in Lusaka. THE mystery of an eight-year-old girl who went missing from her Chisamba home in December last year appears to have been resolved. In the end, Police did not have to go very far from the place little Musola Chansa had called home. All these months, while questions and theories swirled around about what might have happened to her, she had lain in a grave just outside the front door of her parents’ home in Chisamba. Nor did the police forensics team have to dig very deep to unearth her remains yesterday. After clearing a patch of sweet potatoes, they were able to discover some human remains. Pictures showed the blackened bones of a young person. Police said initial evidence was that after being killed, her body was then burnt, before being buried. Such was the force of violence used to kill her that the skull appeared to have been perforated. The murderer? Police suspect her stepmother, Charity Banda, who is now in their hands after leading them to the site where they recovered Musola’s remains. The hapless girl was reported missing on December 7, 2016 by Banda herself, a sales lady at Fringilla Farms. Banda’s husband, 35-year-old Kennedy Chansa, a welder, is currently in the University Teaching Hospital in Lusaka nursing horrific burns to his face and other front parts of his body. The culprit? Police suspect his wife. 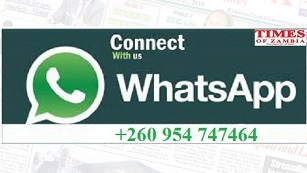 On Monday, as police sought her in connection with the attack on Chansa, whom she is alleged to have scalded with boiling hot water as he slept – reportedly to stop him from pestering her about the whereabouts of his daughter – Banda turned herself in. Police say it was then she is alleged to have confessed to the gruesome murder of her step-daughter. Central Province Police Commissioner Lombe Kamukoshi said Banda reported she had buried the young girl just four metres from the house. To camouflage the grave, she later planted some sweet potatoes on the site. “We want to refer to our earlier information on the murder involving Charity Banda, sales lady at Fringilla butchery in Chisamba. She led the police to the scene of crime at her house where the girl was killed. “Banda buried her stepdaughter in a rubbish pit in a sack after burning the body about four metres from the entrance of her house on which she planted kalembula (sweet potato leaves),” Ms Kamukoshi said. Ms Kamukoshi said the crime scene had since been processed that relatives of the girl had collected her remains for burial in Lusaka.